Free Security Door While Offer Lasts! | Ultra Shutters - Roller Shutter Specialists Free Security Door While Offer Lasts! Free Security Door While Offer Lasts! Can you put a price on your family’s security? 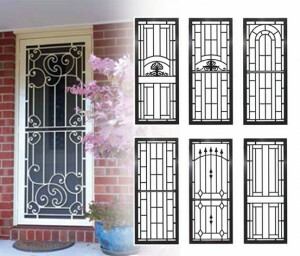 Ultra Shutters is offering a free security door while offer lasts (valued at $720)! Receive a free security door from our range, custom made and installed. Make your home the safest on your street. With a guarantee like that, how can you refuse? Let us demonstrate how we can make your family and home the most secure possible. Fill out the form below and we’ll get back to you quick as we can; you’ll have the peace of mind you deserve when it comes to securing your family home in no time. This offer is only available for a limited time, so be sure to take advantage; a Free Security Door while offer lasts! *Not valid with any other offer. Why Trust Ultra Shutters With Your Business?